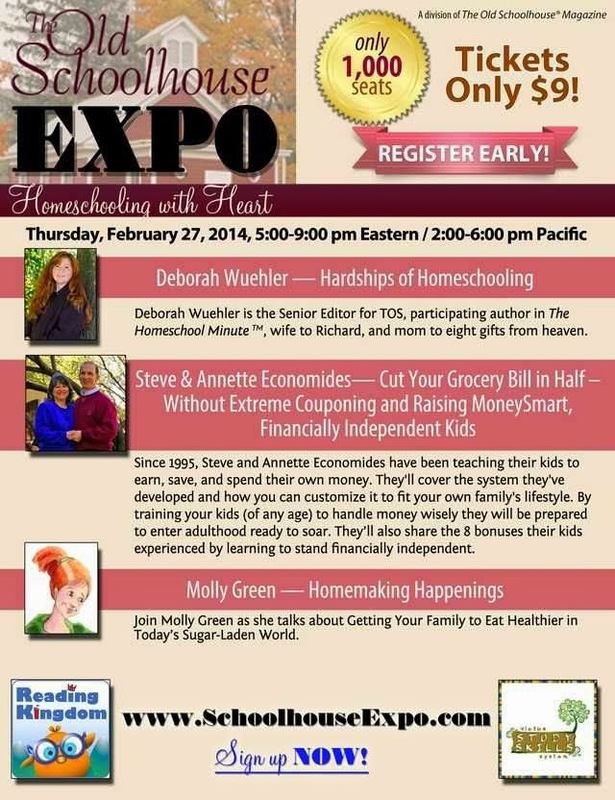 Grace Christian Homeschool: 2 FREE Spots to The Old Schoolhouse Expo - Quick Giveaway! 2 FREE Spots to The Old Schoolhouse Expo - Quick Giveaway! Giveaway Ends - 02/26/14 @ 7:00am EST or when the 2 comments are posted whichever comes first! Okay, here's a fun giveaway! As a part of the Schoolhouse Review Crew, I have been given the opportunity to give away 2 seats to The Old Schoolhouse Expo! Just look at the fabulous speakers!! Congrats to you both - sending in your info now!